"I haven’t spoken to Shakib about the matter yet." Bangladesh isn’t being considered as a contender for the upcoming World Cup in England and Wales, but they aren’t mere pushovers as well, bearing in mind the talent pool they possess. Their opening match is against South Africa on Sunday, June 2 at the Kennington Oval in London and the Tigers are currently busy giving final touches to their preparations. 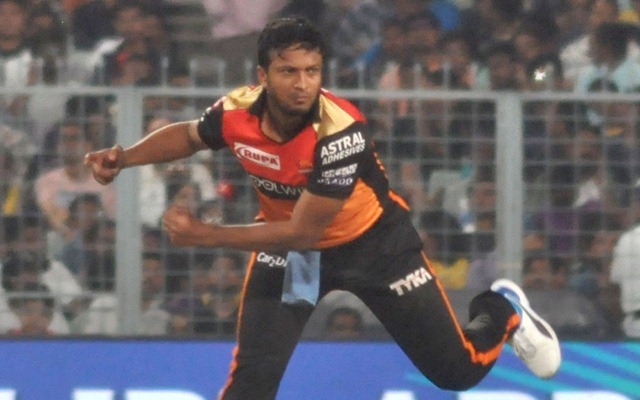 Meanwhile, it has been learned that the Bangladesh Cricket Board (BCB) has decided to call back their premier all-rounder in Shakib Al Hasan, who is currently playing for the Sunrisers Hyderabad (SRH) in the 2019 edition of the Indian Premier League (IPL). The Tigers’ preparatory camp begins on April 22 and the cricket board wants the Jessore-board to come back before that. “We’ve decided to ask Shakib to join us before that. I haven’t spoken to Shakib about the matter yet. But we want him back from IPL and join the camp. We’ll send a letter to him and wait for his response,” Nazmul Hasan Papon, the chairman of the Bangladesh Cricket Board (BCB), was quoted as saying to the reporters according to United News of Bangladesh. In the meantime, the Bangladesh squad for the mega event, starting May 30, is all set to be announced tomorrow in a press conference at the Sher-E-Bangla National Stadium in Mirpur at 12:30 pm BST. “I knew that we have to announce the team within April 18. But today, I learned that we have until April 22. Within this time, we can make any change to our squad without ICC’s permission,” he added. In the 2015 edition of the World Cup, Bangladesh progressed to quarterfinals of the tournament for the maiden time. However, they lost to India. This time, the evergreen Mashrafe Mortaza will be leading the side and hoping for it to give the favourites a run for their money.